A gas water heater is the perfect choice for high-demand homes. While traditional gas and electric hot water heaters are similar in initial purchase price, electricity costs more to use than gas. That means, over time, electric units are more expensive to operate and besides heating your home, heating your water typically consumes the most energy. Recent upgrades in energy-saving technology makes gas water heaters even more efficient. The technicians at Abbott’s Plumbing can assist you in choosing a water heater that will be energy efficient and provide the right capacity for your household size. Switching from electric to gas can add an expense because it may require installation of a gas line and venting for exhaust heat. However, if you already have gas available in your home, a gas hot water heater can be a good way to save on energy costs and provide an ample amount of readily available hot water for your family. Gas heaters can have a slightly shorter lifespan, but the difference is not significant (12 instead of 13 years, for example). If you are not sure if a gas water heater is right for your household, give us a call and we’ll give you advice on the best product for your home. 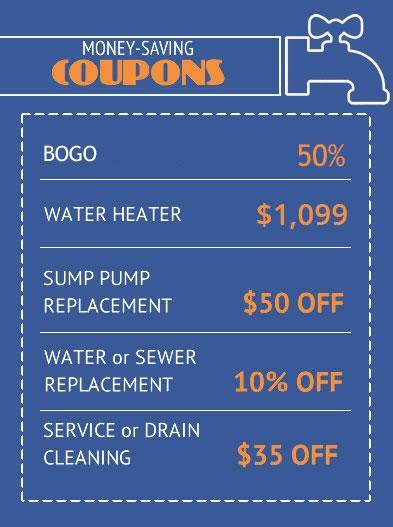 Having problems with your existing water heater? If your water heater is approaching a lifespan of 10-15 years, it’s a good idea to replace it before it stops working or begins leaking. Abbott’s provides sales, service and installation for all types of hot water heaters including electric water heaters, gas water heaters and tankless water heaters. 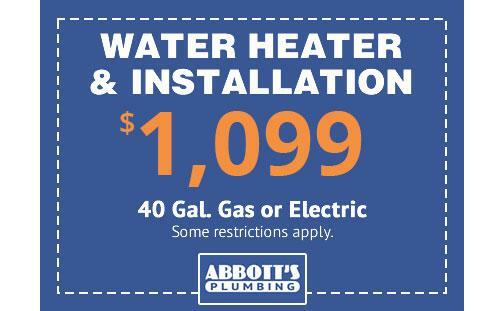 Abbott’s Plumbing is a leader in the repair and/or replacement of gas hot water heaters. We are factory-authorized representatives for service of State, Noritz, Rheem, Ruud, Richmond, and GE Water heaters. Our plumbers can diagnose and fix the problem or recommend the appropriate replacement for your household depending on size and the availability of fuel sources.